I did, and added the next skein on. 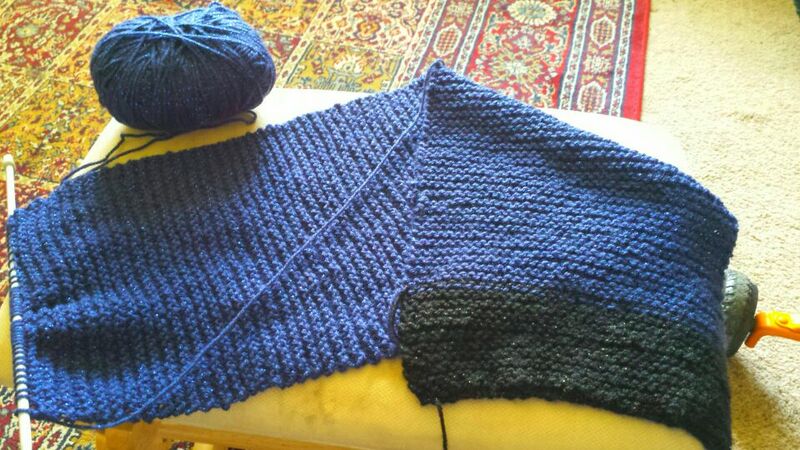 The scarf is halfway done now. My phone isn’t good enough to make the pictures turn out well, because the yarn is much prettier and sparklier than this, but I’m far too lazy to get out the big camera and do something about the lighting to show it off more nicely.